PATRÓN IS ONE OF JUST A HANDFUL OF ARTISANAL TEQUILA MAKERS STILL USING A TAHONA STONE WHEEL TO CRUSH COOKED AGAVE, AN ANCIENT, LABOR-INTENSIVE PROCESS. THE AGAVE IS THEN FERMENTED AND DISTILLED WITH THE FIBER, GIVING NEW ROCA PATRÓN A COMPLEX, EARTHY TASTE. EXPLORE THE PROCESS AT PATRONTEQUILA.COM. TASTE HOW IT'S MADE. 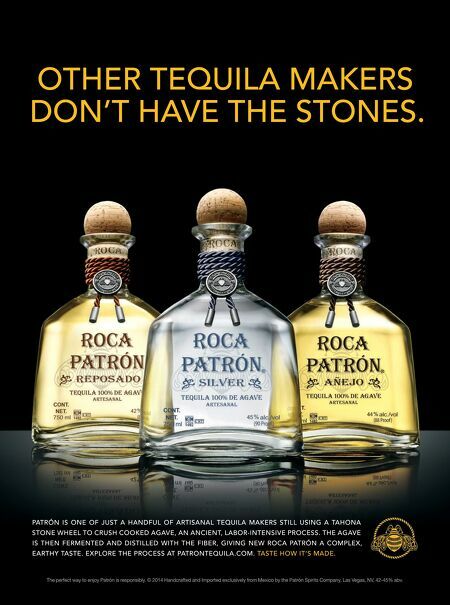 OTHER TEQUILA MAKERS DON'T HAVE THE STONES. The perfect way to enjoy Patrón is responsibly. 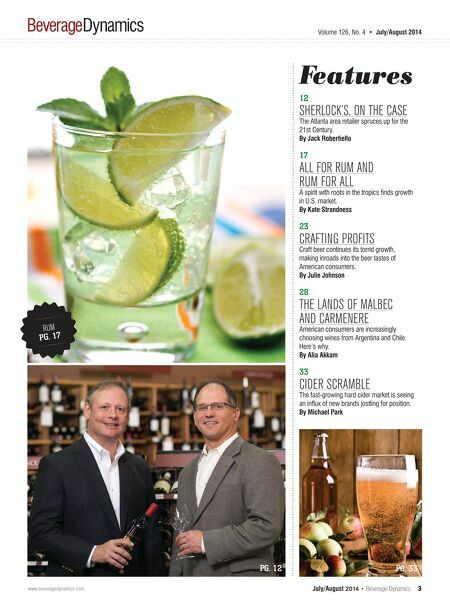 © 2014 Handcrafted and Imported exclusively from Mexico by the Patrón Spirits Company, Las Vegas, NV, 42-45% abv.